As the stalwart pioneers developed the North American continent from coast to coast, human infrastructure penetrated and connected every previously uninhabited area. At the tail end of that development at the beginning of the 20th century, it became apparent that government has to intervene in order to safeguard the most valuable and biologically diverse lands for the future generations, and against the predations of unfettered exploitation for economic purpose. Accordingly, President Theodore Roosevelt established National Wildlife Refuge System in 1903., the first one being the Florida’s Pelican Island. Managed under the United States Fish and Wildlife Service federal agency, over a century, the National Wildlife Refuge System grew to more than 562 refuges along with 38 wetland districts. The total territory encompassed by this system yields about 607,028 km2 which is slightly less than the territorial size of France including all of its overseas territories, but larger than Ukraine – the largest country in Europe. Most importantly though, over the years the System has created nearly 60 refuges for the specific purpose of conserving and restoring over 280 endangered species. The total number of Wildlife Refuge personnel, ranging from administrative, scientific to on the ground personnel, is currently slightly under 4000. What Does Wildlife Refuge System Do? Although nature has taken care of itself for millions of years without any human intervention, it has also exterminated many species as well, which is how evolution works – if you don’t adapt, you die out. Preventing and controlling the intrusion of invasive species. Monitoring the populations of all the animal species and plants. Restoring previous habitats by introducing varied animals and plants. Restoring all the habitat types to its previous conditions: forest, grassland, wetland, and marine. Monitoring the quality of air. Preventing the introduction of contaminants and cleaning them up. Monitoring the quality of varies bodies of water, as well as its quantity. Improving the relationship with wildlife refuges and local human populations. Engaging in various activities that maintain the equilibrium of the refuges: controlled burning, grazing, haying, timber harvest, manipulating water levels, planting, issuing hunting permits when certain animal populations exceed their manageable number for the ecosystem. Although Wildlife Refuges are seemingly tightly monitored and controlled environments, they are not sealed off from the wider regional area. On the contrary, through the efforts of careful integration and education, the National Wildlife Refuge System can generate sustainable economic benefits for their nearby communities. Generating at least $2.4 billion of sales in local economies. Generating $342.9 million in tax revenue for all administrative levels – local, county, state, and federal. In total, the National Wildlife Refuge System generates about $4.5 billion on the national economic level. What Can You Do at Wildlife Refuge? -Wildlife observation of animals in their natural habitats, ones that you can’t see anywhere else outside an enclosed zoo, and some not even in the most expansive zoos. Some of them are: Hawaiian monk seals, Red wolves, California condor, humpback whale, Jaguarundi, California red-legged frog, Karner blue butterfly, American crocodile, Gulf sturgeon, Leatherback sea turtle, Spectacled eider, Audubon’s crested caracara, Ozark big-eared bat, West Indian manatee. 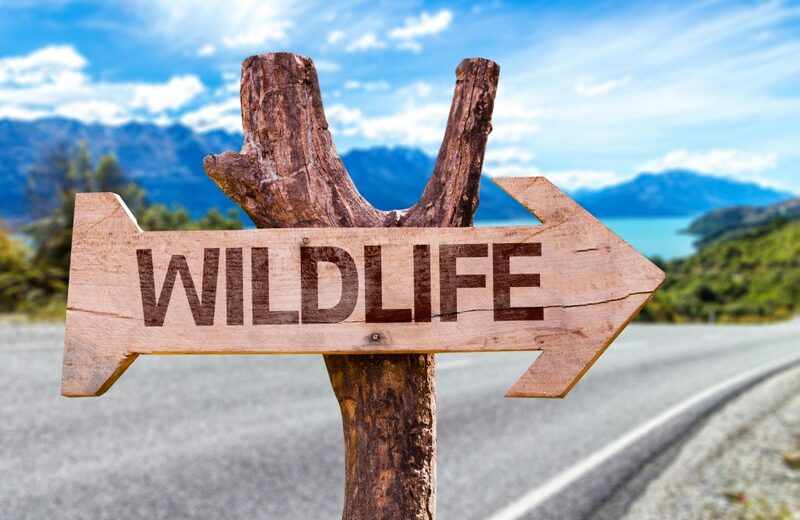 As you might have noticed, all of the listed animals are either endangered or threatened, but they only represent a small fraction of the huge biological diversity you can safely enjoy under controlled conditions. -Photographic excursions employing high-end telescopes, binoculars with smartphone attachment, digital recording equipment, and even utilizing drones for exceptional footage that would otherwise be impossible to make. -Educational visits that involve tours and lectures. -Fishing and hunting. Sometimes, animal and fish populations need to be curtailed, so the United States Fish and Wildlife Service will issue a number of fishing and hunting permits. When deciding which wildlife refuge to visit, among the 562, you have to first decide how long are you willing to travel, and how much time you are willing to spend. If you are only interested in local excursions, the best way to realize your wildlife refuge trip would be to first visit the official website for the entire system. Simply click on the state where you live and see which ones are closest to you. Additionally, you can see which animals are present in each refuge, what rules to follow, what is the best time to visit, how to dress and behave, image galleries, etc. St. Mark’s in Florida – Florida is known to be highly biologically diverse and climactically pleasant, which is why it is the primary destination for retirement. From alligators to birds you didn’t even know existed, St. Mark’s gives you a full range of life – from wetlands to forests. Laguna Atascosa in Texas – If you are a fan of birds in all their colorful glory, this refuge should be at the top of your list. Texas is far into the south so it holds tropical bird species as well as migratory ones. In addition to birds, you can spot ocelots, bobcats, indigo snakes, and a rich diversity of butterflies. Wichita Mountains in Oklahoma – For the fans of hiking, majestic mountainous scenery, and big game, this refuge is ideal. You can observe free-ranging bison, elk, prairie dogs, longhorn cattle, and many other wildlife you could only have seen in old western movies. As you can see, there is enough wildlife refuges to cover everyone’s predilections, be it forests, desert oasis, grasslands, tropical, oceanic, or mountainous. Whichever one you pick it will be an experience that will never fade from your memory.